It looks like someone's pocket Constitution was lost before she voted in the Louisiana legislature. 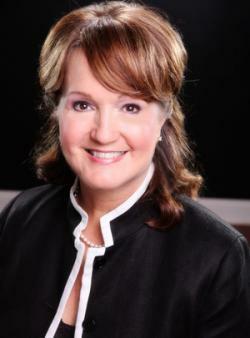 That's Republican legislator Valarie Hodges, who wholeheartedly supported Bobby Jindal's school voucher program. Well, she supported it until she discovered that -- GASP! -- state money could go to Muslim schools. Rep. Valarie Hodges, R-Watson, says she had no idea that Gov. Bobby Jindal’s overhaul of the state’s educational system might mean taxpayer support of Muslim schools. HB976, now signed into law as Act 2, proposed, among other things, a voucher program allowing state educational funds to be used to send students to schools run by religious groups. The school funding mechanism, however, did not come up for a vote until the end of the session. By then, a Muslim-based school had applied for support through the new voucher system. During debate over the MFP (Minimum Foundation Program) funding formula, Hodges learned more about the consequences of the educational changes. She voted against the new MFP funding formula; Schexnayder voted for it. Well, hey, Rep. Hodges. You don't get to pick and choose the "permissible religions" when you hand over public funds to private concerns, which is why those of us with half a brain think that public school money ought to be used to fund public institutions, especially when there is NO "founders' religion." See, that way it's easy. My tax money doesn't go to fund stupid conservative, narrow-minded, intellectually dishonest education controlled by Catholic bishops and Southern Baptist wingnuts, and your tax money doesn't go to Muslims. Didn't you believe that whole "freedom of religion" thing in the Constitution? The stupid just hurts. It hurts hard.